At age nine, Said Bouraam knew only the mountains. In the small Moroccan town of Amalou, where he and his younger sister lived, dry, brown peaks roses on every horizon. At that age, Said had never been to France. It was hard for him to imagine the mighty Seine River coursing through Paris, on another continent, in another world. It was even harder to imagine that the Seine’s waters, swollen and ferocious from flooding, had swallowed up his father. But that was the news a family member brought to the house that day. And what Said and his family saw on TV confirmed it: Brahim Bouarram, father of two, a Moroccan immigrant to Paris, had been pushed into the Seine. He could not swim. He drowned in its churning currents. At the centre of this unfolding tragedy was a far-right movement Said’s family had never heard of before: France’s National Front. Its supporters were accused of the violence that killed his father. “We did not understand. What kind of politics are these? We did not even know what the National Front was,” Said recalls, speaking in French by telephone. Said, who spells his last name differently than his father’s, says a “great sadness” filled the house that day. But being so young, and being so far away, he had no idea how vast an affect his father’s death would have. Years would pass before Said realised that his father had become an icon – an enduring symbol of far-right violence in France and the deadly toll it could take. It all started on May 1, 1995, the day France held its annual celebration of workers’ rights. Schools were out. Businesses were closed. And crowds filled the street, both to celebrate and to demonstrate for various political causes. 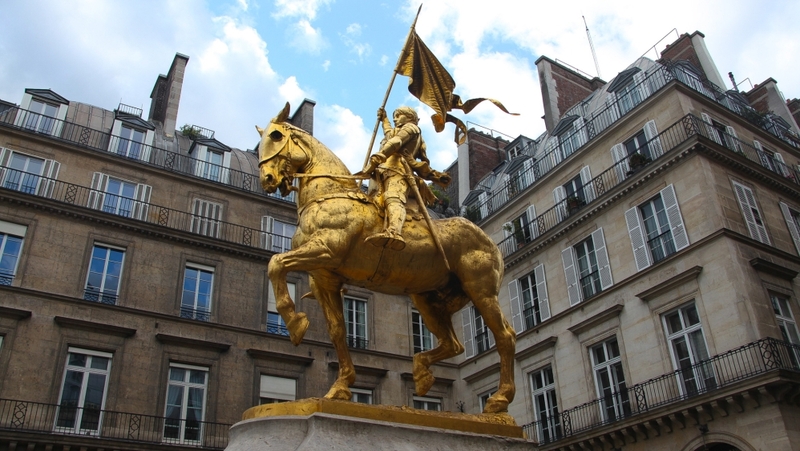 One political group was set to hold its annual gathering right in the centre of the city, at the foot of a sparkling gold Joan of Arc statue outside the Louvre Museum. Its name was the National Front, and it was a relatively young party at the time, founded only in 1972. But it had gained momentum as a means of uniting France’s fractured far right, which World War II had left in disarray. Under the leadership of Jean-Marie Le Pen, the National Front drew together populists, fascists, anti-immigration movements, anti-Semites and anti-taxation businessmen. It was a disparate group, one that Le Pen argued was neither right nor left. Rather, they supported a platform of France first, France alone. In the folk hero Joan of Arc, Le Pen and his followers found a natural mascot: a virtuous, young patriot who sacrificed her life to defend the country from foreign invaders. In their eyes, she had kept France “French”. And that’s what Le Pen’s supporters, by and large, hoped to do too. 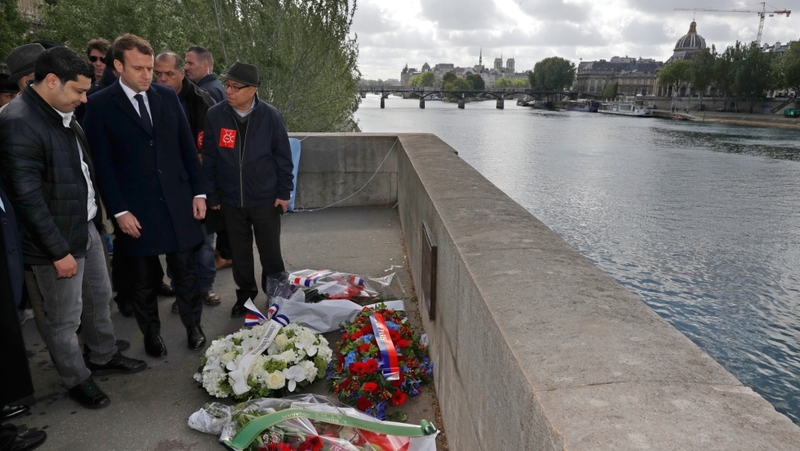 As National Front supporters marched nearby, Brahim Bouarram was spending his holiday strolling along the banks of the Seine. At age 29, he was handsome, with high cheekbones, a direct gaze and a mop of black hair. He had come to Paris with his brothers, and together they had once worked in a small grocery store. The southern wing of the Louvre loomed high above the riverbank. The Carrousel Bridge lay ahead. Bouarram had plans to meet a friend in a little while, plans he would never be able to keep. Just before midday, a small group splintered away from the National Front parade. Media reports would later describe the four men as skinheads. They reportedly came to the Carrousel Bridge in search of homosexuals to harass. Instead, they found Bouarram. What happened next would become the subject of bitter courtroom debate. Lawyers for 19-year-old Mickael Freminet would argue that Bouarram hurled insults at him. That Bouarram’s death was unintentional. That Freminet was not, in fact, a skinhead. But what was undeniable was that Freminet gave Bouarram a shove, in full view of passersby. Bouarram fell into the water. Freminet and his companions watched as he drowned. Freminet ultimately served an eight-year prison sentence for Bouarram’s murder. His three companions each received a lighter prison term for failing to assist a person in danger: one year behind bars, out of a five-year suspended sentence. A growing acceptance of racism in France? “One year in prison for the murder of a young man, that’s not a heavy price,” says Renee Le Mignot, co-president of the Movement Against Racism and for Friendship between Peoples, an NGO better known as MRAP. She saw the verdict as evidence of the growing acceptance of racism in France. One year in prison for the murder of a young man, that’s not a heavy price. Le Mignot had been participating in a different procession on the day of Bouarram’s death, and the news of his murder quickly reached her and other activists. “On the very same day – May 1, 1995 – we got together,” she recalls. They started to organise a mass demonstration in response, one that ultimately drew upwards of 12,000 people, including France’s then-president Francois Mitterrand. Protesters waved signs that read, “Racism is a National Affront”. 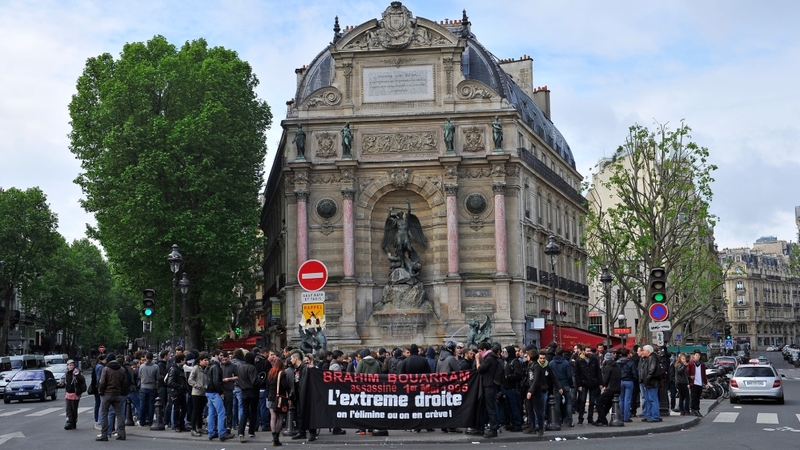 But the large turnout underscored an uncomfortable fact: Bouarram’s death was not the only fatality credited to the far right that year. In fact, his was one of three high-profile murders to happen in the space of six months, all widely perceived to be hate crimes. Bouarram’s death, however, gained particular traction because it took place smack between the two rounds of voting for France’s 1995 presidential election. Even to this day, presidential candidates still attend the annual ceremony held in Bouarram’s honour, as a means of condemning the far right – and gaining support before the final vote. But Nonna Mayer, the director emeritus of research for France’s National Center for Scientific Research (CNRS), warns that France’s political landscape has shifted dramatically since Bouarram’s murder. The first time the National Front advanced to the second round of voting, in 2002, more than a million people flooded the streets in protest. The second time, in 2017, the backlash was much more muted. Mayer credits this, in part, to a culture shift within the National Front. Jean-Marie Le Pen is no longer in charge. Its new leader – his daughter, Marine Le Pen – has taken steps to rebrand the party, notably renaming it Rassemblement National and distancing herself from her father’s legacy of open provocation. Mayer says the National Front no longer tolerates blatant anti-Semitism, but it continues to push an anti-immigrant agenda, claiming it to be in the name of public safety and economic security. But it’s not just the National Front that is growing stronger. The mainstream political alliances that once served as a bulwark against its expansion are growing weaker. Bouarram’s memory lives on most visibly in his son Said, who now resides in Paris. When he was a teen, around age 15, Said dreamt of leaving home and moving to France, just as his father had. While his mother never discouraged him, he could tell she felt wary. “She didn’t want to live through another nightmare,” he recalls. Said says no one ever contacted him or his family after his father’s murder – no nonprofits, no government officials. That finally changed in 2009, when activists from MRAP and the Paris mayor’s office reached out with an invitation. They wanted Said to attend the yearly commemoration in Paris, at the site where his father was pushed into the Seine. It would be Said’s first visit to France. It felt bizarre, he recalls, to see the place where his father’s life was stolen. Journalists asked him questions he didn’t know how to respond to. Because his father had lived far away, Said could only remember seeing him twice in his life, when he returned to Morocco on vacation. If it happened to our family, it can happen to someone else. In 2010, Said was once again invited to attend the memorial in Paris. Le Mignot, MRAP’s co-president, remembers he expressed a desire to stay in France. So her organisation helped him apply for a residence permit for the following year. “We felt responsible for him, to welcome him here so justice could be done,” she says. Now, every year on May 1, Said stands on the Carrousel Bridge overlooking the Seine, a living tribute to his father’s memory. He has his own child now, a two-year-old son. And he admits that he’s afraid for the future. The far right continues to rise. This year’s European parliamentary elections are weighing on his mind. The racism that claimed his father’s life continues to intrude on his own. Online, Said sometimes stumbles across comments telling him to go back to his own country, taunting him, saying his father should’ve taken swimming lessons. Across Europe, the far right is on the rise and it has some of the continent’s most diverse communities in its crosshairs. To the far right, these neighbourhoods are ‘no-go zones’ that challenge their notion of what it means to be European. Will the midterm elections affect Trump’s Middle East strategy?